By now, you probably know that you need an online presence. You need an online space to help build your business, sell products or get your name out there. The tricky part is figuring out how to do it and calculating how much it will cost. The biggest problem here is setting off in the wrong direction. Choosing the wrong platform at the beginning can cost you months in backtracking (not to mention the monetary cost of setting it up). In this ten-minute guide, I’ll look at four different methods of setting up an online presence. For each one, I’ll break down the cost of investment, explain who should use it, and the pros and cons involved. Which Platform Is Right For Your Online Presence? I’ve made this mistake myself. I’ve set up websites on two, three different platforms before realizing I could have spent less money and reduced the hassle if I’d just done the research and chosen the right route in the first place. I’m not the only one either. When I asked 27 experts their biggest blogging mistakes, a big handful said they regretted choosing the wrong platform and failed to map out the right plan from day one. This is the guide I wish I had when I was starting out. A no-nonsense tutorial that helps you figure out which is the best platform for you. That’s the key here. There is no perfect way to set up an online presence, only the right one for your goals and ambitions. A social media platformBecause not everyone needs a website. WordPress.orgAn intermediate-advanced website building platform with complete control. WixA simple, beginner website builder for portfolios and blogs. ShopifySimple website builder specifically for online stores. Second, we’re going to figure out how to grow your online presence. Unfortunately, a website or social media page on its own won’t magically attract visitors. We’ll introduce you to a handful of ways you can actively drive people to it and grow your online presence. Pros – It’s free, simple and low maintenance. Cons – Less control over design and algorithm changes. Cost of setup – Completely free. Some businesses and individuals don’t need a website. It’s a hassle and cost that can be counter-productive. Sometimes, a Facebook page or Instagram account is the best way to build an audience, connect with people, and keep them updated. These are platforms that your customers are already familiar with and there are 1.6 billion active users waiting for you! A cafe or restaurant, for example, could operate with nothing more than a Facebook or Instagram profile. They could upload new pictures, keep the menu updated, communicate with customers, promote events and highlight special offers all from one place. 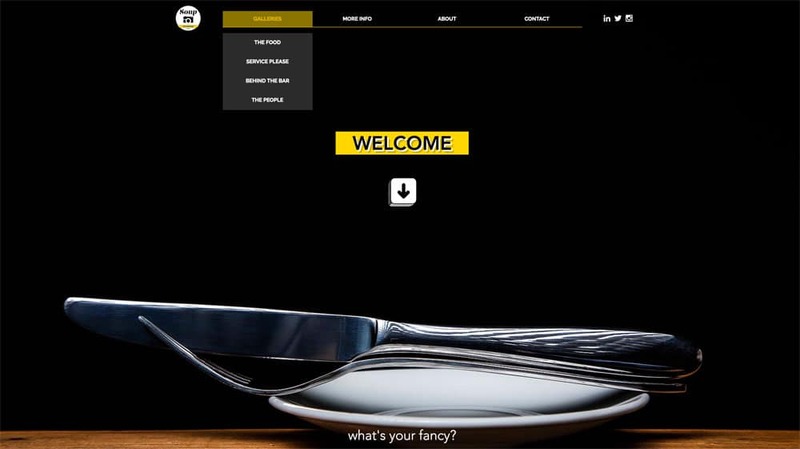 They could even use a Facebook plugin to take reservations. A website in this case might just complicate things and split the audience. Instead, focus on building one powerful channel. As for video content and blogging, Facebook caters for this too. Native videos on Facebook now hit 8 billion views daily, and their Instant Articles allows you to publish blogs without a website. Additionally, Facebook has an excellent advert platform, so you can target an audience and drive them straight to your page (more on Facebook adverts later). The downside of only having a social media page is that you’re at the mercy of their decisions. If Facebook change their algorithm to limit your reach (which they do regularly), you may have to pay to connect with your followers. You’re also limited in terms of design. 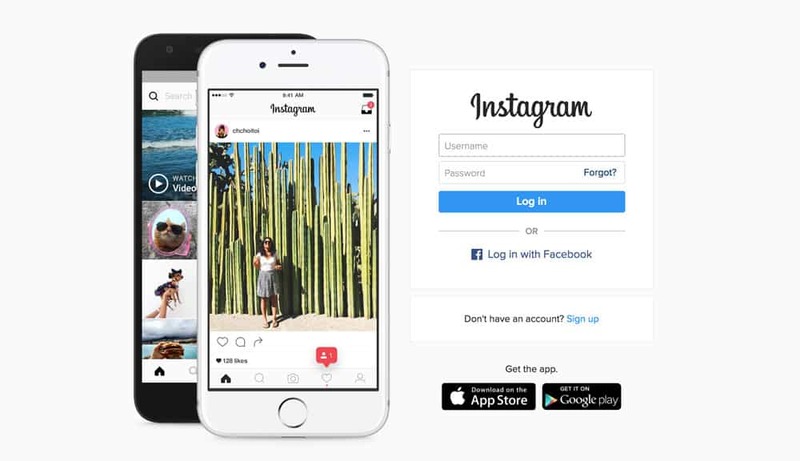 You can upload images and headers, but the confines of Facebook or Instagram’s layout may be frustrating for some. Most importantly, if you want to sell something, Facebook isn’t ideal. Although plugins are available, Facebook regularly changes which plugins it allows. Your shop could be removed without notice. Pros – Complete control and unlimited potential. Cons – Cost of maintenance, technical skill required. Cost of setup – Starts at $5- $20 per month for hosting and domain. 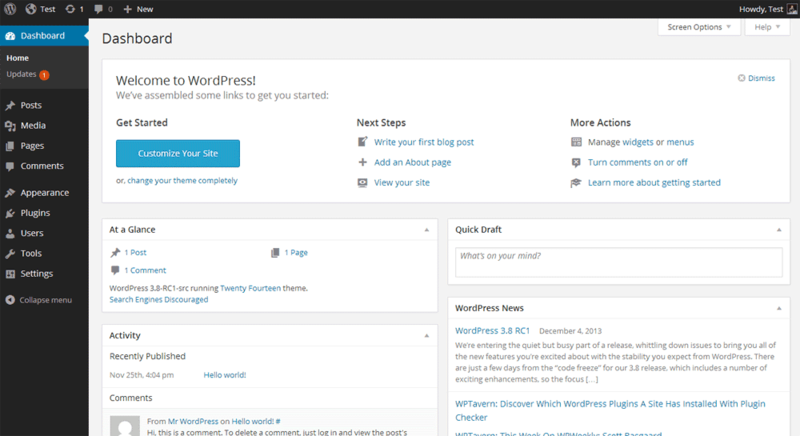 WordPress is the best choice if you want your own website with complete control and flexibility. WordPress powers 25% of all websites out there, so it’s a trusted, respected platform. You can do just about anything with WordPress. Build an online store, create a portfolio website, post blogs and content, build an affiliate site. You can host adverts, collect email addresses, make money and run an online business all from one place. It’s scalable too. It powers some of the biggest sites on the web, including The New Yorker, Techcrunch, Variety, Mashable and Time Inc, but it works just as well for a personal blog. All this control and flexibility does, however, comes at a cost. Although WordPress itself is free, the architecture that comes with it isn’t. You’ll need a web host (this is essentially a piece of internet real estate your website sits on) and a domain name, www.my-website.com. Choosing a good web host is as important as the website itself. It contributes to load speed, security and performance. Our host comparison table here is a good place to start – The good (& reasonably-priced) web hosting. Creating and maintaining a WordPress site also requires an element of technical skill. WordPress claim you can set up and install within 5 minutes, but getting your site up and running takes a little longer than that. There is a learning curve and it will consume a great deal of your time, especially if you want to tweak the design, update it regularly and improve performance. If you like the sound of having your own website, but don’t want so much hassle, there is another option, Wix. Pros – Simple, drag and drop design, easy setup. Cons – Limited compared to WordPress. Cost of setup – Free, but it’s worth upgrading to the premium plans for a personal domain (starting at $4.50). Wix is similar to WordPress but without all the fuss. Granted, it’s more limited, but not everyone needs a complicated list of features. 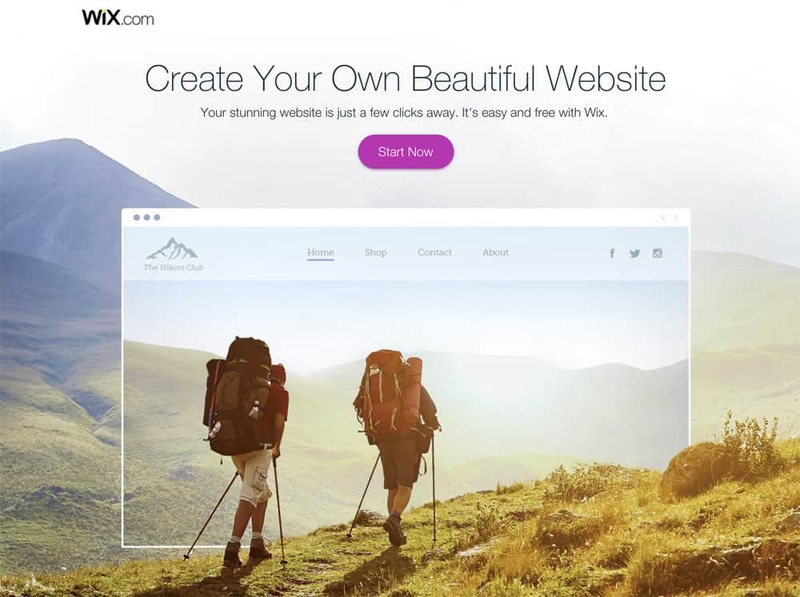 The beauty of Wix is its simplicity. They take care of hosting, storage, performance and all the technical stuff behind the scenes. You can just log in and add content. 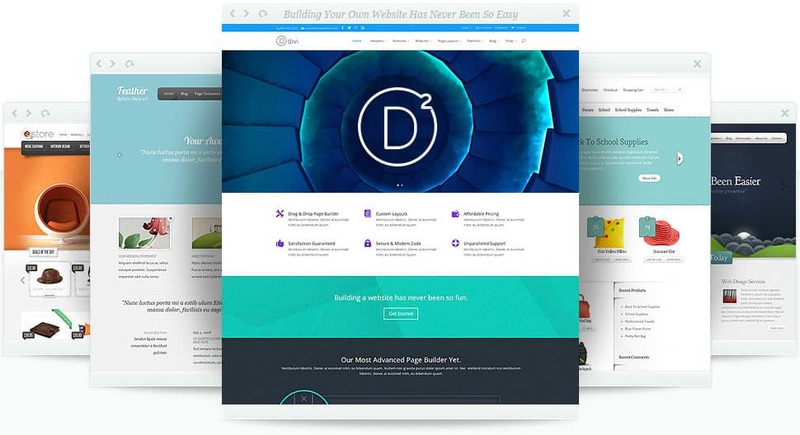 All the templates are drag-and-drop, so you can lay out your website without any coding whatsoever. The free templates are generally more stylish than WordPress, which will appeal to freelancers and creative professionals. 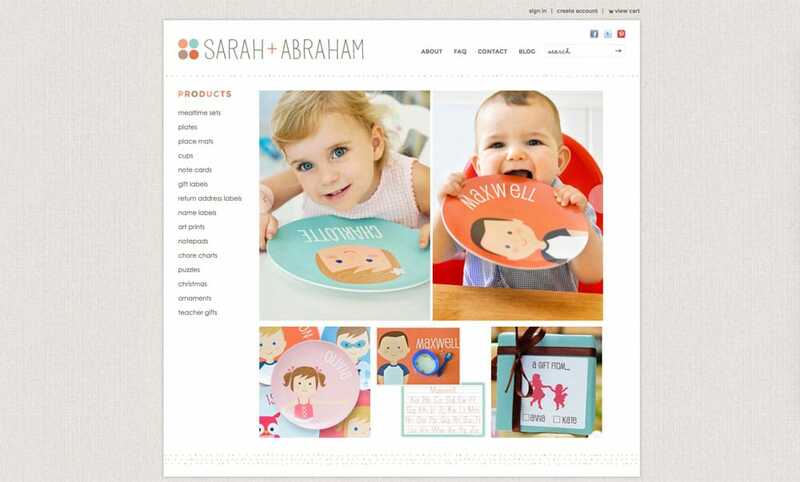 The Wix templates lend themselves to simple portfolio sites and blogs and that’s where it thrives. 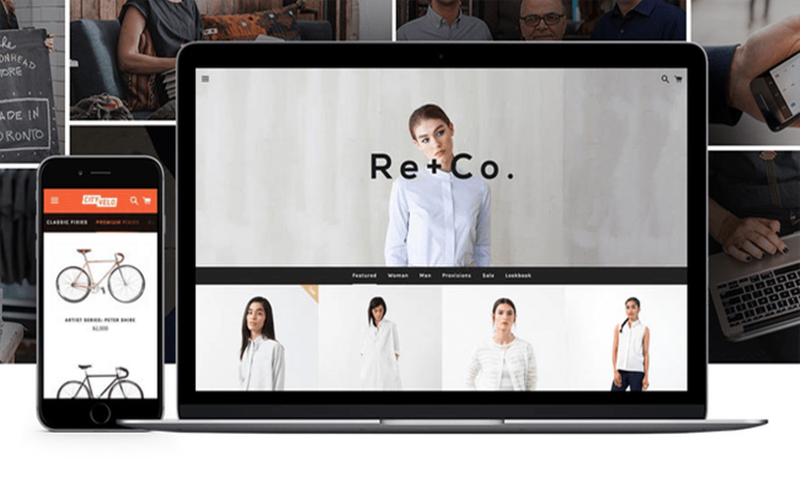 Wix does offer the mechanics for setting up an online store, but WordPress or Shopify (coming up next) offer a better platform for e-commerce. All in all, Wix is a great option for simple portfolios and websites run by those who don’t want too much hassle. The downside is that you’ll have less control over the back-end of your site and overall performance. You may also find it trickier to integrate advanced features like shopping carts and email signup forms. Pros – Simple, quick online store setup. Cons – Pro features are expensive. Cost of set up – ‘Basic’ package starts at $29 per month. Shopify, as the name suggests, is made especially for online stores. Design and layout is simple and straightforward. Again, there’s no coding required so you can get up and running in no time. In fact, Ben timed it from start to finish and it took just 19 minutes to create a Shopify store. The real beauty of Shopify is the integrated e-commerce features. It automatically handles payments, shipping rates, taxes and order tracking. For an additional fee, you can also use their built-in marketing service and integrate the software with a real-world store to simplify your accounts. The alternative to Shopify is using WordPress with a plugin called WooCommerce. In general, WordPress & WooCommerce works out cheaper in terms of transactions and flat costs. However, you’re paying for simplicity and ease of use. The downside is that you have less control over the underlying architecture of your site. This is where WordPress and Woocommerce are more flexible, but with that comes additional work and maintenance. 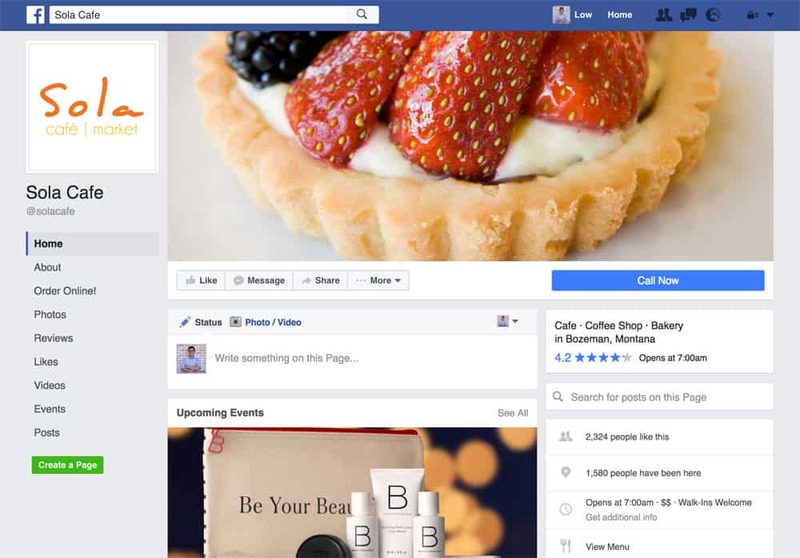 Cost – I spend roughly $100 per week on Facebook ads, but you can certainly start with less. Others will spend thousands once they can guarantee a return-on-investment. Facebook adverts are one of the best ways to tap into a super-targeted audience. You have complete control over the demographics, location and interests of your audience so you only promote to people that are interested. Use adverts to tell people about your website and how you will solve their problems. Facebook ads are affordable too. I advise testing them out on a small scale first, then increasing the spend gradually. For more information, check out my guide to increasing click-through-rate on Facebook adverts. Cost – There’s no financial cost here (unless you hire an expert), only the time involved in researching and implementing the techniques. SEO is all about getting your website ranked in Google searches. It’s a HUGE topic that deserves an entire book of knowledge to master (although, this resource from the folks at Moz is a great place to start). Your very first step here is deciding what ‘keywords’ you want to rank for. In other words, what should people type into Google to find you? (We have a handy blog to help you find the best keywords for your business). Next, do some simple ‘on-page’ optimization. Place those keywords ‘on the page’ in your title tags, headers, image descriptions and tags etc. This is just simple groundwork and foundation-building for the future. ‘Real-world’ businesses like cafes or restaurants will also want to claim their map location on Google and list themselves on directories online. Find out more about ‘local SEO’ here. Cost – Writing blogs is absolutely free. However, if you prefer to hire a freelancer, it will cost between $0.10 – $0.20 per word at websites like Problogger and UpWork. Blogs, videos and images are the best way to start communicating with your audience and generating some noise. Content helps you reach potential customers and establish your brand. Think about your current social media newsfeeds. They are full of content intended to connect with you and build an audience. It takes time to write a blog or produce a video, but it’s well worth the effort involved. No matter what industry you are in, content helps you add value to your visitors. It shows your expertise, helps build an identity, and draws more traffic. Try reading our guide to creating a content strategy that drives hard traffic. Cost – Again, this is free unless you wish to hire a professional writer. Producing content is a good start, but how do you get people to see it? One way is to produce content for existing blogs and websites. It’s a chance to get your name in front of a new audience and connect with those in the industry. Try writing a guest blog and pitching it to another blog in your niche. If they accept it, you’ll get a link back to your website and your content will hopefully inspire a new audience to follow you. (Links back to your website are also essential for search engine optimization). Cost – It can be free if you approach the right people and offer reciprocal promotion. Approaching the most popular influencers however can cost from $50 to $15,000+ to promote your product. Influencers are those with huge followings and credibility in your industry. 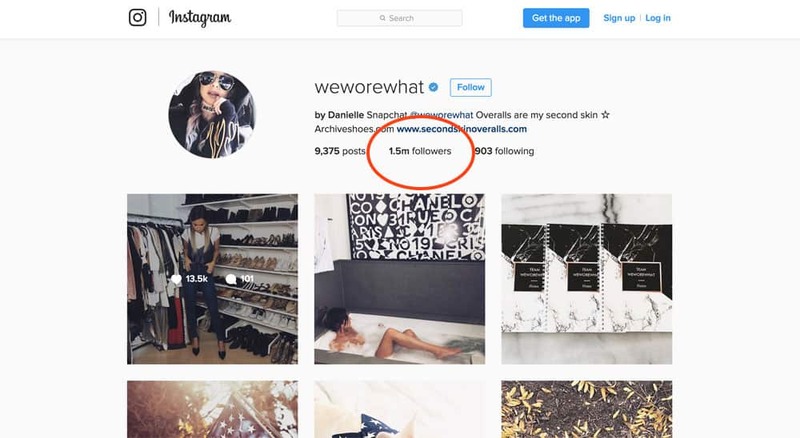 Influencer marketing is becoming more and more powerful online, with some social media accounts racking up millions of followers. By tapping into their existing audience, you can draw attention to you and your business. Of course, it’s not easy, and in some cases it costs a fee if you’d like the influencer to feature your product. However, if you choose the right blog or individual, it can drive a lot of targeted traffic to you. Start by identifying key influencers in your industry. Start a conversation with them over Twitter or send them a polite email. Try to build a mutual relationship before you ask for something. Cost – PR distribution starts at around $100. A press release is a document that tells the world about you. You can engage an agency to draft and distribute a nice press release for your company and it shouldn’t cost a lot. 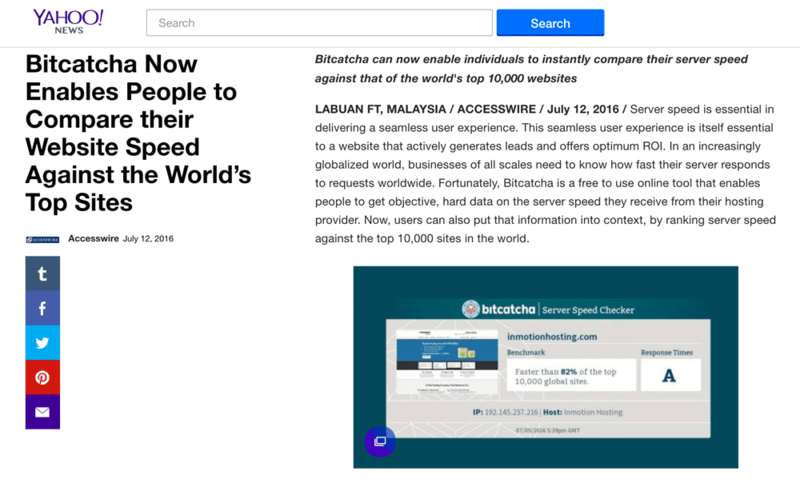 Here is a press release we did when we upgraded our server speed checker and we were lucky to have the news picked up by Yahoo. Pro-tip: start by highlighting something noteworthy about your business. Try to think like a journalist or blogger and understand what would make them want to write about you. Is there something unique about your product or business model? Are you launching something innovative or ground-breaking? Include some backstory about yourself and give the blogger a ‘story’ to develop. Then find an agency to distribute it. 7. Don’t forget real-world marketing! Cost – Word of mouth costs nothing, but if you’re producing promotional materials the cost will vary depending on how much you make. In the online world, it’s easy to forget how powerful traditional marketing can be. Be sure to include links to your online presence on your business card and promotional materials. It’s even worth pursuing adverts in trade magazines and niche publications to spread the word. There is no one-size-fits-all solution when it comes to an online presence. 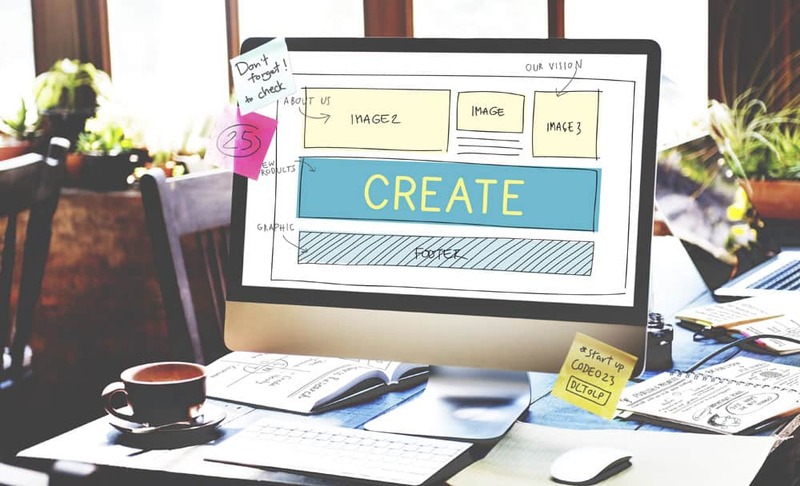 A complex website isn’t necessarily the best answer for you, especially if you’re just getting started. There are shortcuts and easier options such as a simple social media account or a straightforward portfolio page. Don’t invest in a tricky website if you value simplicity. But equally, don’t constrain yourself if you’re building a genuine digital business. First, decide what you want from your online presence. Second, match the platform to your needs. Third, use active promotion to build on that online presence. To recap, here is the line up for all four platforms. Have you gone round in circles trying to get your online presence right? Did you set up a website before fully understanding what you needed? Let me know your thoughts, comments and opinions!